This guide contains resources, information & links related to business and entrepreneurship including; business news; statistics and data; and local, state, national and international business and commerce. Just added: Consumer Reports, an independent, nonprofit member organization that works side by side with consumers for truth, transparency, and fairness in the marketplace. "Connecting decision makers to a dynamic network of information, people and ideas, Bloomberg quickly and accurately delivers business and financial information, news and insight around the world." A network of more than 1,200 businesses in Orange County, New York and one of the 10 largest chambers in New York State. Local business information concerning the Hudson Valley. Topics include: Business, Special Reports, Banking and Finance, Business Persons, Growth and Development, Our Economy, Small Business.
" Charity Navigator has become the nation's largest and most-utilized evaluator of charities. In our quest to help donors, our team of professional analysts has examined tens of thousands of non-profit financial documents. We've used this knowledge to develop an unbiased, objective, numbers-based rating system to assess over 8,000 of America's best-known and some lesser known, but worthy, charities." The American Association of Franchisees and Dealers (AAFD) acts to educate the public regarding fair franchise practices, quality franchise opportunities, and to expose the unethical practices that have too long existed in the franchising community. Topics include Market Support, Legal and Franchise Support, and Legislative Support. Search 21 million periodic reports, registration statements and other reports from foreign and domestic companies who have filed with the U.S. Securities and Exchange Commission. Contains a range of time series data on IMF lending, exchange rates and additional information on record with the International Monetary Fund (IMF). NAICS is the standard used by Federal statistical agencies to classify businesses to collect statistical data. Provides free demographic and psychographic data based on zip code. This database provides information for 157,000 North American manufacturing companies including 135,000 trade names organized into 50,000 product classes. Up to 50 years of data on global living standards, as well as world development indicators, global economic monitor and more! 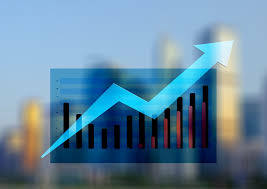 Provides economic reports, rankings and legal information regarding doing business overseas. Provides market overviews for companies interested in exporting goods and services overseas, along with summaries of business and political climate. Sponsored by the International Trade Association. For Orange County, New York. "The Orange County Chamber of Commerce leads the way creating and supporting an environment in which business will succeed and the qualify of life is enhanced." "The Council of Industry has been the manufacturer's association for the Hudson Valley since 1910. We are a privately funded not-for-profit organization, whose mission is to promote the success of our member firms and their employees, and through them contribute to the success of the Hudson Valley Community." Covers the following counties: Orange, Ulster, Dutchess, Sullivan, Putnam, Rockland, and Westchester. "Empire State Development (ESD) is New York State's lead economic development agency. Co-headquartered in Albany, Buffalo and New York City, and supported by a network of 18 additional ESD Offices throughout the state and around the world. The organization is comprised of highly qualified professionals who help businesses start up a company in New York State; relocate to or establish a presence in NYS; expand already existing operations in NYS; retain and enlarge their work force in NYS; or compete more effectively and profitably in the domestic and international marketplace." "Pattern for Progress is a non-profit, public policy research and planning institute. Pattern was founded in 1965 by leaders from the public and private sectors, and now serves a nine-county region: Columbia, Dutchess, Greene, Orange, Putnam, Rockland, Sullivan, Ulster and Westchester." "The Orange County Business Accelerator is a partnership between Orange County Government and the Orange County Industrial Development Agency. This partnership is aimed at fostering prosperous new businesses in Orange County. The OCBA's purpose is to help businesses extend their reach far beyond the borders of Orange County and simultaneously grow Orange into the most business-friendly environment in the Hudson Valley." "The Orange County Office of Economic Development is the economic development tool for doing business in Orange County. This office provides "one stop shopping" assistance for the business community looking for state or federal incentive programs that would assist in the startup, expansion or the retaining of the business for Orange County." Formerly Orange County Office of Business Assistance. From the U.S. Small Business Administration (SBA). Over sixty different thirty-minute courses on topics in financing, government contracting, business management, marketing and starting a business. Helpful information including a planning checklist, naming your business, business and much more. From the Small Business Development Center (SBDC) National Clearinghouse which is funded by the U.S. Small Business Administration and the University of Texas at San Antonio. A public-private partnership of the Ewing Marion Kauffman Foundation and the U.S. Commerce Department's International Trade Administration (ITA) focused on leveraging best practices in entrepreneurial leadership to advance economic growth around the world. Guide for small businesses about the steps to starting a small business, getting financing help from the government and more. News for small businesses from the Wall Street Journal. Includes a search engine for business opportunities for sale. Instant access to useful financial ratios, business statistics and benchmarks. Effective and understandable analysis of businesses and industries.